Dailey & Vincent will appear at Reynolds Performance Hall at the University of Central Arkansas at 7:30 p.m. Sunday, April 14. Hailing from world-famous stages such as Carnegie Hall and Ryman Auditorium, Grand Ole Opry stars and multiple award winners Dailey & Vincent will appear at Reynolds Performance Hall at the University of Central Arkansas at 7:30 p.m. Sunday, April 14. 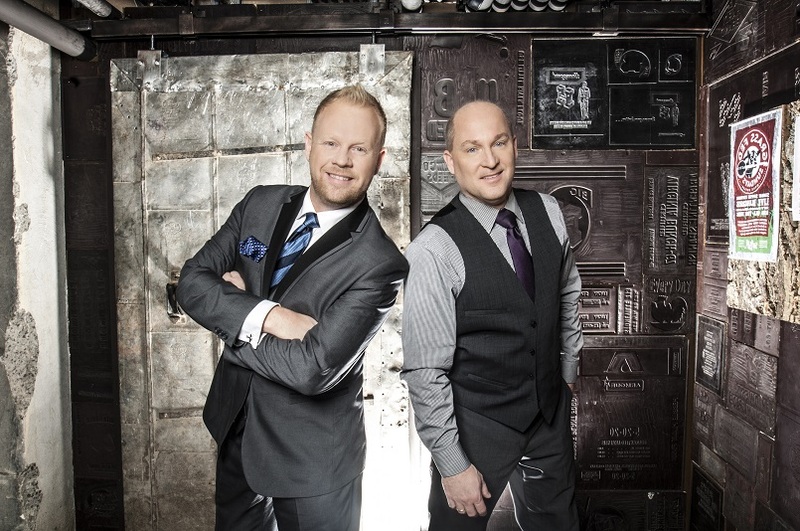 The duo is riding a wave of critical acclaim for their newest release, “Patriots & Poets,” as well as their nationally broadcasted weekly TV series, “The Dailey & Vincent Show,” on RFD-TV. Backed by one of the best bands on tour today and generally regarded among the most reputable and elite entertainers in American music, Dailey & Vincent’s sound is a concoction of traditional country, gospel and bluegrass blended together by the fantastically instinctive vocals of Dailey’s tenor and Vincent’s reedy harmonies. Jamie Dailey is a four-time IBMA “Vocalist of the Year” award winner. Growing up performing with family and regional groups, Dailey later became the lead vocalist and guitarist for Doyle Lawson & Quicksilver for more than 10 years. In addition to the amazing harmonies of Dailey & Vincent, Dailey’s voice can also be found on several recordings by Dolly Parton, Ricky Skaggs and Russell Moore. Darrin Vincent began performing at the age of 2 with his family band, The Sally Mountain Show. He has accumulated five Grammy Awards and has been voted Bluegrass Bass Player of the Year for four years in a row (2009-20012). As a former band member for more than 10 years to the Grammy Award-winning Ricky Skaggs and Kentucky Thunder, Vincent has credits with dozens of artists including his sister Rhonda Vincent (Queen of Bluegrass), Dolly Parton, Nora Jones, Emmylou Harris, Earl Scruggs, Bruce Hornsby, Vince Gill, John Hartford and many more. Tickets range from $30-$40 for adults and $10 for children and may be purchased at uca.edu/Reynolds, at the Reynolds Box Office 10 a.m. to 4 p.m. Monday through Friday or by calling UCA Ticket Central at 501.450.3265, or toll free at 866.810.0012.